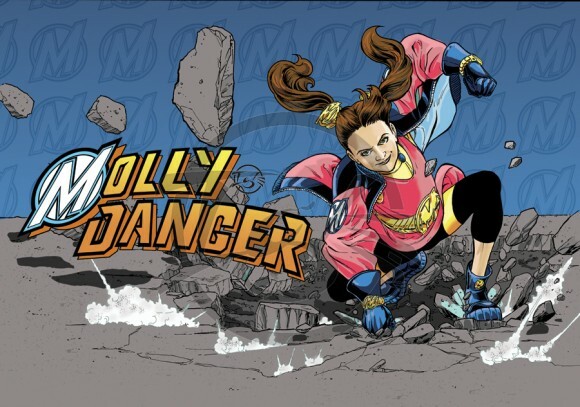 In 2013, the audio movie studio AudioComics will release its second AC Kids title based on the forthcoming children’s graphic novel series from industry superstar Jamal Igle (Action Comics, Supergirl, Firestorm, Daredevil/Shi): Molly Danger! 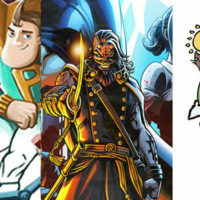 Produced in association with Action Lab Entertainment, and directed by AudioComics co-founder William Dufris, the first episode in the series will record in New York for a projected summer release. Molly is “the princess of finesse,” the most powerful ten-year old in the world. 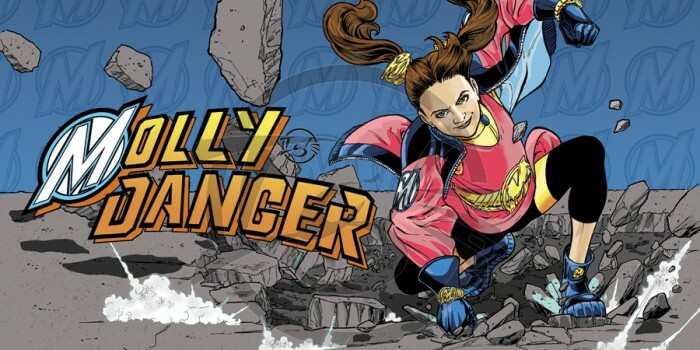 Protector of Coopersville, New York from the villainous Supermechs, including Two-Fisted Tommy and Lil’ Cavey, she has legions of devoted fans, movies and merchandise bearing her name, and more fame than anyone can fathom. But what she really wants more than anything…is a friend. A family. And a real life. 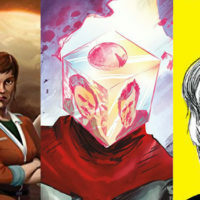 As with AudioComics’ productions of Titanium Rain, Starstruck, and Honey West: Murder on Mars, the finished work will be available on both compact disc and pay-per-Mp3 digital download, with cover art by Igle, and for sale through AudioComics’ and Action Lab’s websites, iTunes, Amazon, and at comic book and sci-fi conventions. 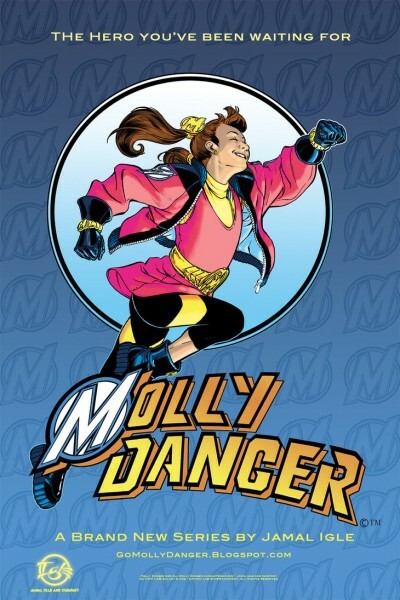 Igle introduced Molly Danger in a highly-successful Kickstarter campaign last fall, and the first hardcover edition, under the Action Lab banner, will be in comic book stores in July. 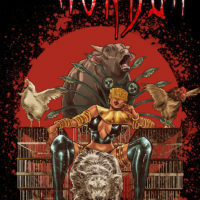 There will also be a preview of the book released during Free Comic Book Day on May 4 in stores nationwide. 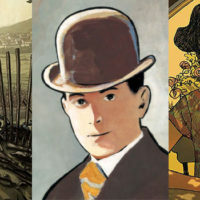 AudioComics, under the guidance of producers Lance Roger Axt, William Dufris, and Elaine Lee, provides superior audio entertainment with its professional full-cast audio theatre productions of both licensed properties and original works from the world of comic books, graphic novels, and related media, accessible in today’s market with today’s sound. 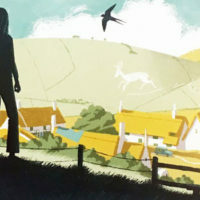 The AudioComics team is working to establish relationships with top name comic book companies, sci-fi writers, sponsors and the entertainment industry in Hollywood and New York, and to give these audio theatre pieces worldwide exposure. 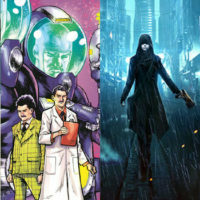 Productions include Starstruck, the forthcoming Bad Planet, and the first part of Titanium Rain, for which AudioComics was nominated for two Audie Awards from the Audiobook Publishers Association.